Sofritas are sautéed peppers, onions and garlic. Combined with crushed tofu and the soft fluffy flesh of baked potatoes and stuffed into potato skins, ummm can you say YUM? 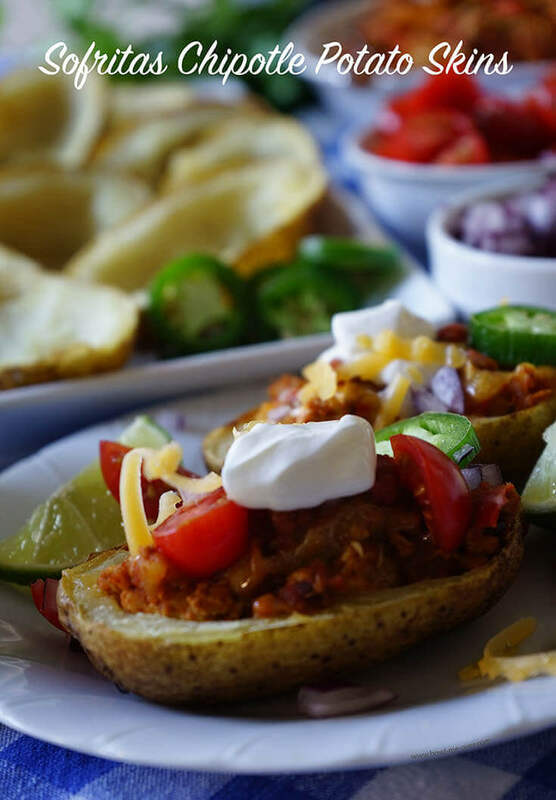 Sofritas stuffed potato skins are a spicy, savory, meaty tailgating treat that will be a big hit! 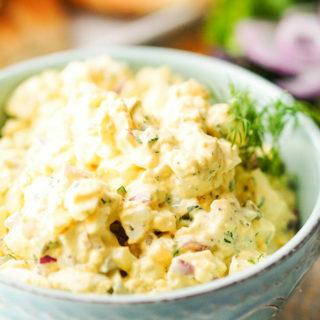 Whether you’re watching the game at home or having a parking lot picnic before the game, this is a tasty bite everyone will love! Sofritas are sautéed peppers, onions and garlic. I added crushed tofu with soft fluffy baked potatoes. October is officially Tailgating month! Last year I offered up Lambeau Leap Beer Brats – gotta love a great brat slow cooked with onions and garlic, bathed in beer and grilled. 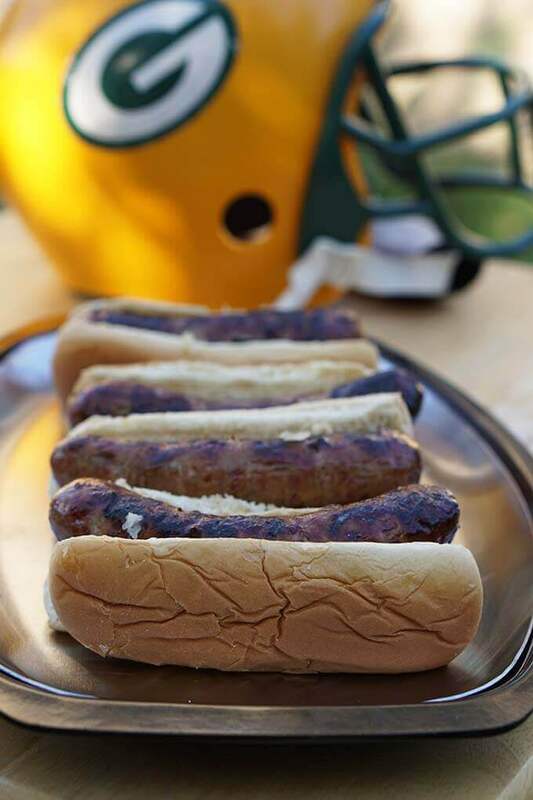 Lambeau Leap Beer Brats – Brats slow cooked with onions and garlic, bathed in beer and grilled to perfection! My colleague from Life Currents heads up this campaign. 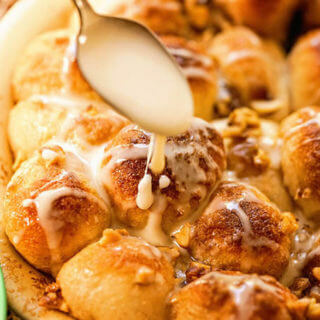 She’s offered up many tasty bites – the latest was Pizza Pull Apart Bread that looks AMAZING! and there are many additional food bloggers participating. 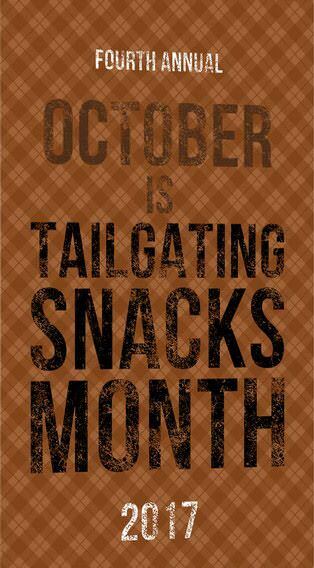 October is officially Tailgating Snacks Month! If you’re looking for inspiration just use the hashtag #TailgatingSnacks – you’ll see GREAT ideas for super easy game day grub! Click here for a FREE Conversion Chart! 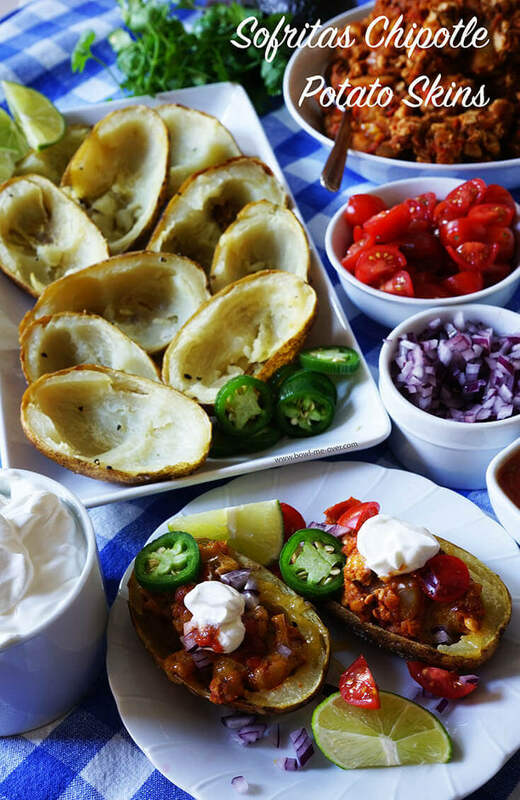 So this year I’m sharing an amazing Sofritas Chipotle Potato Skins Recipe! The sofritas are stuffed inside a potato skin, but you can also enjoy the sofritas in a bowl, inside a burrito, taco – you name it Sofritas are a spicy, tasty dream! Here’s a close up of the Sofritas, they have amazing flavor – big spice but not too hot. Stuffed inside potato skins super yummy for tailgating food or tossed on a salad your everyday dinner. These are simple to prepare. Have you tried sofritas at Chipotle? October 22 Loaded Slow Cooker Cheeseburger Dip by Who Needs A Cape? Sautéed peppers, onions and garlic. Combined with crushed tofu and soft fluffy baked potatoes then stuffed into potato skins, ummm can you say YUM? 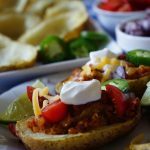 Sofritas stuffed potato skins are a spicy, savory, meaty tailgating treat that will be a big hit! 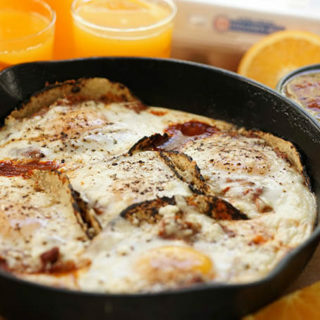 Whether you're watching the game at home or having a parking lot picnic before the game, this is a tasty bite everyone will love! Clean the Russet Potatoes well. Rub with a touch of olive oil and sprinkle with salt and pepper. Pierce the skin several times. Bake in a preheated 400 degree oven 35-40 minutes until tender. Allow to cool. Remove the tofu from the package and drain well on a paper towel. When well drained dice into a half inch dice. Slice the onion in half and peel off the skin. Roughly chop. Add to the food processor. Slice the bell peppers in half, remove the seeds. Roughly chop half of each and add them to the food processor. Peel the garlic, roughly chop - add it to the food processor along with the chipotle chili. Pulse and process, scraping down the sides until everything is finely chopped. Add one tablespoon olive oil to skillet over medium heat. Add the chopped vegetables and sauté for about five minutes. Add in the tofu, spices, tomato paste and water. Bring to a boil and simmer stirring often. Slice the potatoes in half, scoop the insides of the soft fluffy potatoes directly into the sofritas and continue to simmer - about 15 minutes longer. Stir it often to combine all the flavors. 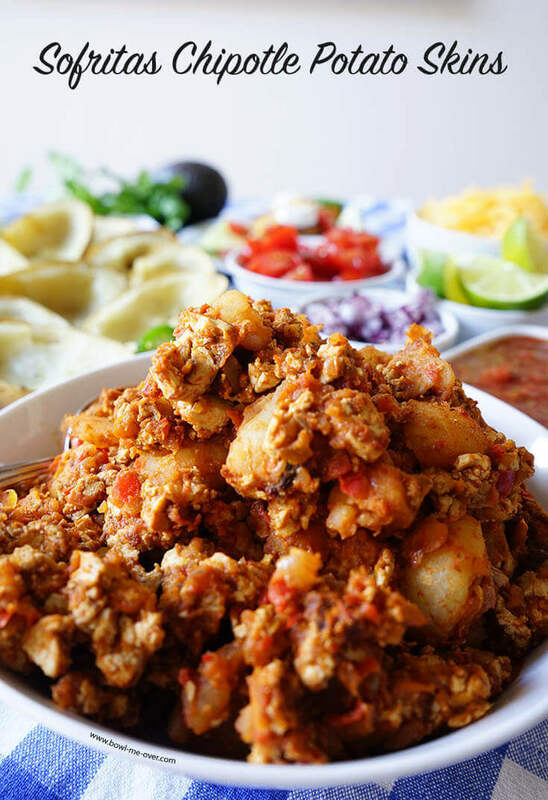 Serve potatoes skins heaped with all of your favorite toppings - avocado, cheese, green and red onions, olives, chopped cilantro - tons of options, all are delicious! 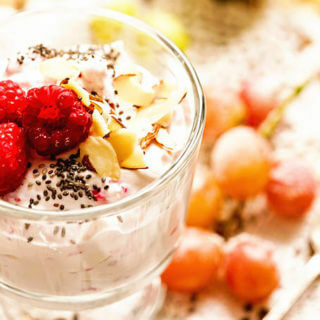 More delicious ideas for snack food? YES! I got you covered! Here’s today’s pairing guide. Grab a Cuban Sliders & let’s get ready to watch the big game!! What to make for a tailgating party? 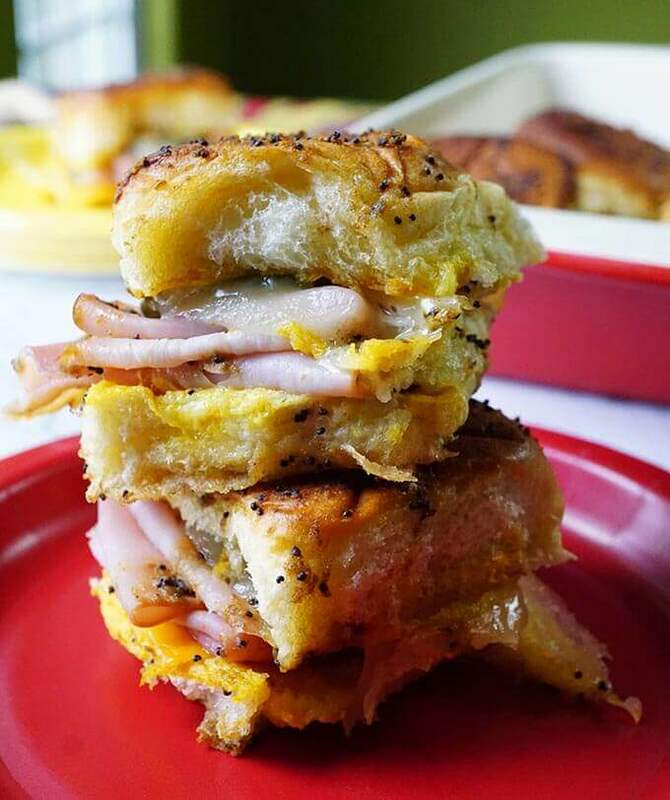 Cuban Sliders are sweet, buttery, salty, tangy, spicy, cheesy & amazing! They are perfect for game day! 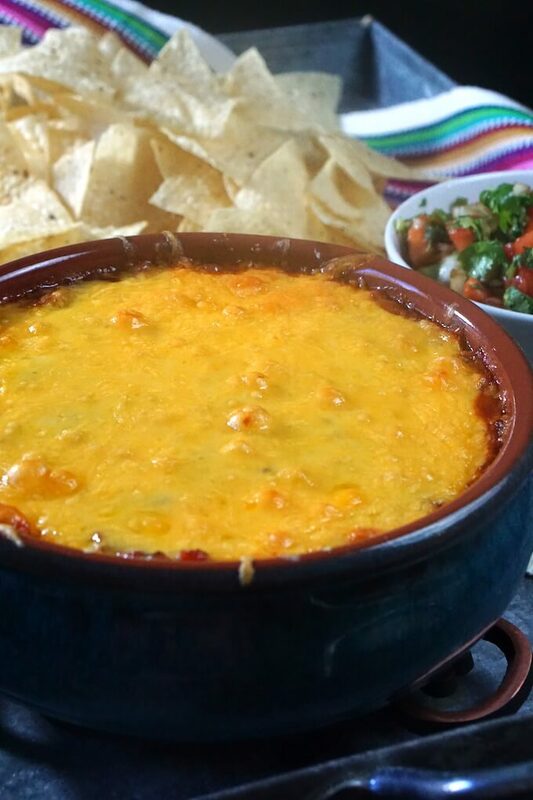 Easy Cheesy Salsa Bean Dip is perfect for tailgating and the easiest recipe you’ll make! In addition to being delicious, it’s affordable and feeds a crowd. Perfect for a party and an easy make-ahead! My Texan friends Russel and Nicole say I’ve spoiled them and they can’t eat regular chicken wings now because this recipe is the BEST!! 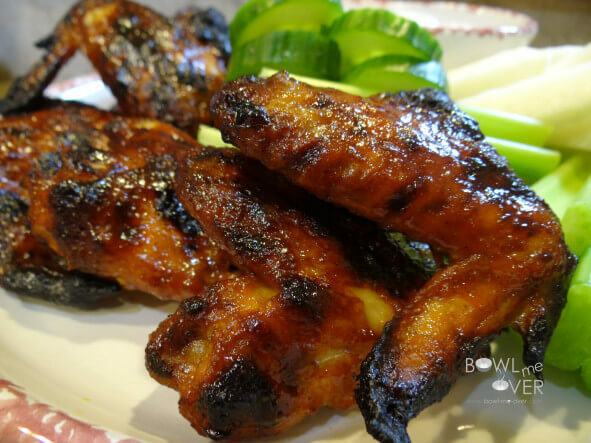 Chicken Wings and Blue Cheese Dip – Take them to your Superbowl party to be the hit of the crowd! Sofritas Chipotle Potato Skins are a spicy, savory, meaty tailgating treat. 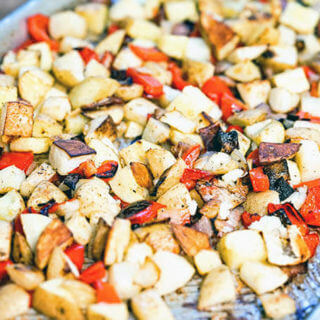 Sautéed peppers, onions, garlic, tofu with soft fluffy baked potatoes! GO PACK GO!! Its going to be a long season without Rogers! But hey, now I have these awesome potato skins to ease the pain! Great recipe!! Packed with incredible flavor! These look awesome! I’m so excited to try something new and festive for our watch parties! Perfect!! Enjoy Candi and thank you!! What a fun tailgating snack! I love everything about this! I also love that you shared a vegetarian healthy recipe for this month, as I often eat too much cheese! LOL Thanks so much for joining in the fun! This is one of my favorite group projects every year Debi and you do such a great job organizing it. I’m so happy you’ll enjoy this recipe! I love everything about these skins! I’d have mine so heaping full that one would be a whole meal! That’s exactly what we did Julie! And we feasted for a couple of days – these are super delish!! So much better than jarred – you’re going to love these Jennifer, thank you!! These look so amazing! I love potato skins! Super yummy Madi, I hope you give them a try!! What a delicious way to enjoy game day! I ADORE potato skins!! I’d just make a meal out of these!! Yum, yum, yum! Perfect meal – enjoy Michaela!! I have a huge love for sofritos! You added tofu and that made it even better! We have game day gatherings coming up soon and I am making this! Wonderful! Can’t wait to hear what you think – gotta love these tater skins!!! Thanks Deanna – we just love them and hope you do too!!! Oh my gosh, a whole party plan. I always need help when it comes to making a bunch of yummy appetizers for game day. Gotta love that, right? 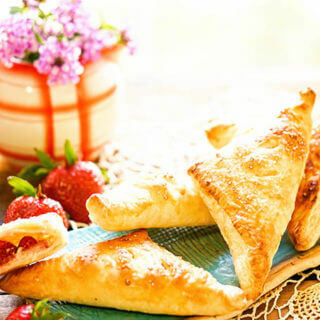 So easy and yummy for a party – love that!